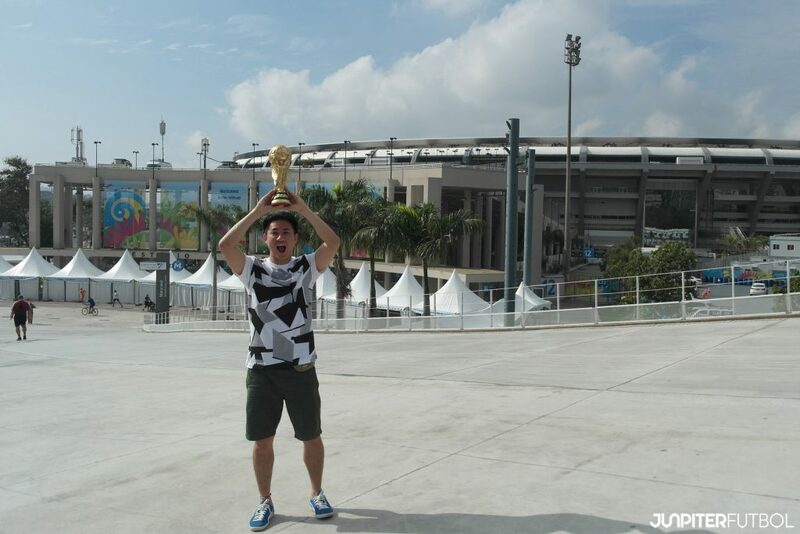 Jun Tan is a journalist/blogger and is the founder of Junpiter Futbol, the one and only website based in Singapore that covers local and overseas football. Junpiter Futbol not only promotes football throughout Asia but gets the chance a few times a year to cover overseas matches. They’ve been to see matches in the UK and had the amazing assignment of attending a match at the Brazil World Cup in 2014. 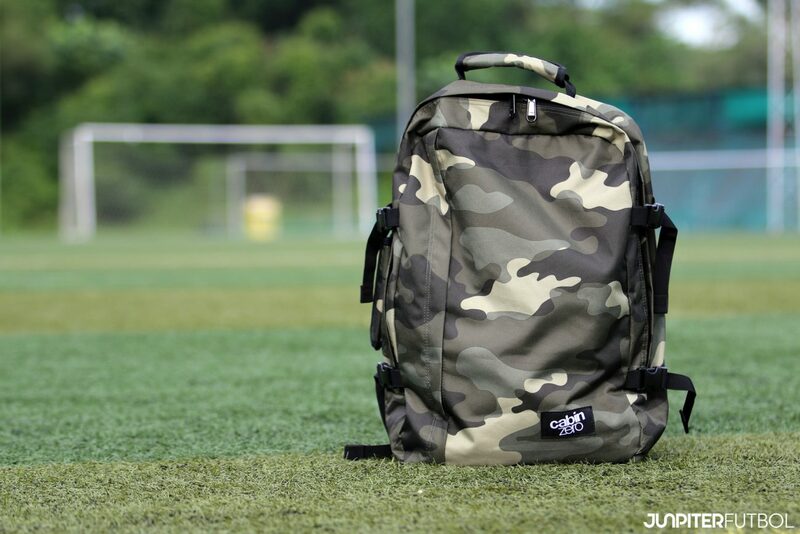 Jun carries the CabinZero Class 44L Urban Camo to matches to transport all his gear needed to report on the football matches he’s attending. We caught up with Jun and got to chat to him about his work and his travels. 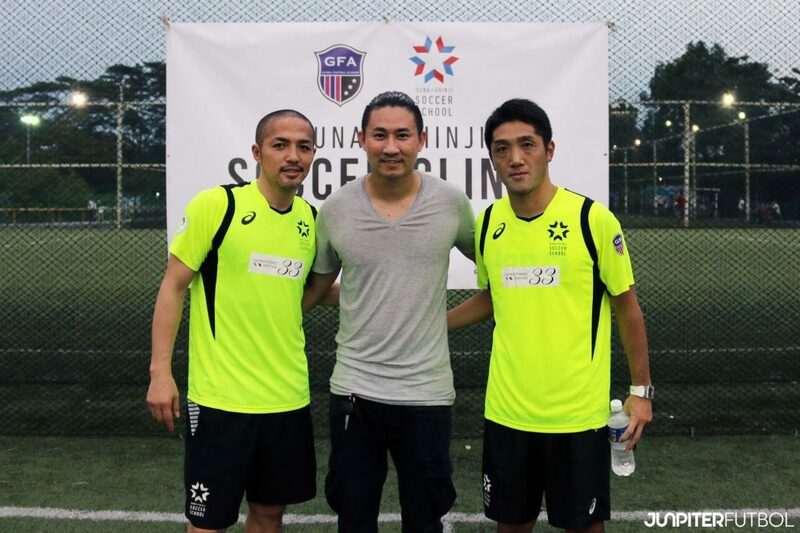 Junpiter Futbol’s main objective is to cover Asian football and contribute to its growth. Have you seen a rise in interest in the local football scene in Singapore and also in the rest of Asia? As a Singapore Media we certainly hope to contribute to Singaporean football. Singaporean football has not been drawing the right attention for the past few years but this year, things seem to have changed for the better – England’s Jermaine Pennant signed for one of our top clubs, Tampines Rovers. His presence in our S.League has certainly attracted some attention and has created positive hype. You’ve interviewed some great players. Who was your favourite person that you got the chance to chat to? All the players whom we have met and interviewed were great and were willing to share so much with us. If I have got to choose my favourite it will probably have to be former Japanese International, Shinji Ono. First of all, he speaks good English. I have been following his progress since he was 17 years old. We shared quite a bit of laughter and great memories when my questions were directed to that early in his career. He didn’t hold back and we had a fantastic chat. We’re from Leicester so it’s been a great year for our local team to say the least. Who would you say is the best supported team in the EPL within Singapore and who is the most popular within Junpiter Futbol? Leicester has been great this season and we really hope they will go all the way to clinch the title. But as far as the best supported EPL teams in Singapore is concerned, it’s still Liverpool, Manchester Utd, Chelsea and Spurs. Arsenal is doing well with the growth of their fan base here in Singapore, as well as within Junpiter Futbol. Their kit supplier, Puma, has pumped in lots of effort, and since the team participated in the Barclays Asia Trophy last year their support has amazingly doubled. You get the opportunity to travel with your work. What’s the importance of a good carry-on bag and what are the main items that your profession requires you to pack in your CabinZero? Yes, a good carry-on bag is essential for my work on a daily basis. And especially if I’m traveling, I do lots of work on the flight therefore I need a bag which I can bring on board, with great durability where it can hold my bulky camera, camera accessories, laptop, microphones (for interviewing), files and various other stuff. These are the essential equipment which I have to carry on my back because you never know when you will need it. And when I need it, this equipment has to be easily accessible, even if I’m on the move. 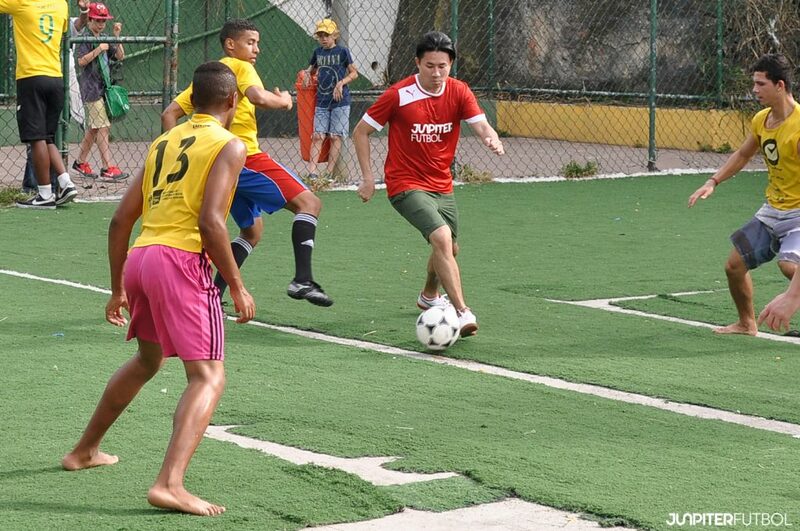 Junpiter Futbol with Robbie Fowler, ex-Liverpool striker. We’ve spent some time in Sao Paolo, Brazil and got to see the stadium there, unfortunately we didn’t get the chance to catch a game. You were lucky enough to see a game in the Maracana in Rio de Janeiro for the World Cup. Who did you get to see and what was the whole experience like? It was an awesome experience watching a live World Cup match at the Maracana. It was a match between Argentina and Bosnia which the Argentinians won 2-1. Messi netted the winner if I’m not wrong. Well, despite the exciting match on the pitch, I was not really paying attention to the match but rather soaking myself into the surreal atmosphere, watching how the football fans were enjoying themselves! 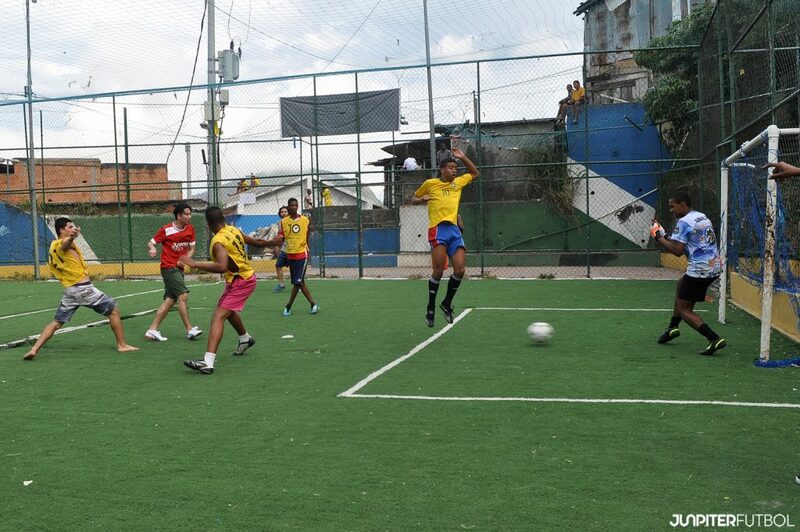 I was simply enjoying myself at the Maracana with the rest of the “Beautiful Game” lovers. I will never forget the experience of trying to sing along with the Argentinians surrounding me too! If you could choose any match in the world to go and cover where would it be and why? If I got to choose, I hope to catch a live match of Boca Juniors at Bombonera. Ever since my trip to South America in 2014, I have fallen in love with the South Americans’ football passion. I experienced it first hand as a football fan and now I hope I can do more than just enjoy the experience, I hope to bring that experience back and share with all Junpiter Futbol readers. Another idea which I have always been thinking about is to experience a lower league team’s match in England. I have heard so many good reviews about watching a lower league team with a packed 3-4k crowd, I think that will be wonderful especially with a pint in hand! What are the plans for Junpiter Futbol in 2016? Where will you be taking your CabinZero bag? Apart from the domestic league which our team is covering, we have actually got a hectic schedule this year with some of the overseas trips already finalized and with more in the pipeline. Just this year alone, we are taking our CabinZero bag to Thailand, Japan, India & China! Stay tuned! Our thanks to Jun Tan for taking the time to chat to us about his passion which he is lucky enough to have as his profession. Safe travels with our CabinZero bag. Thank you CabinZero for featuring us & support. Original article from CabinZero, Click Here.